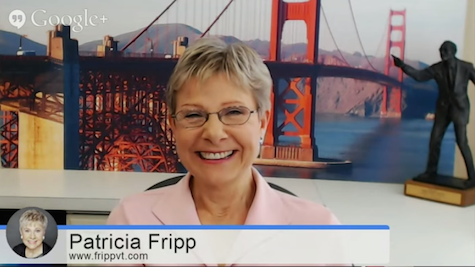 A couple of weeks ago I had the opportunity to sit down with acclaimed executive speech coach Patricia Fripp for an hour-long chat about public speaking skills and how to be a better communicator. You can watch the video here or click the embed. Below the video I captured answers to five key questions about presentations. 1. What Are the Three Worst Presentation Sins? 1) Storytelling is critical. Stories stick; data, facts and information don’t. That doesn’t mean those things aren’t important—it just means you first have to grab people’s attention with a story that has emotional resonance. 2) Understand your audience. Really analyze them. 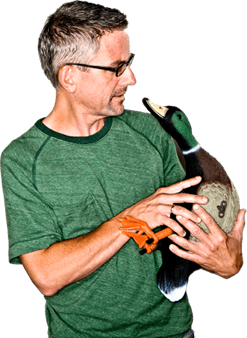 What are their wants, needs, fears, objections, doubts and misperceptions? Only by addressing their concerns will you connect. 3) Rehearsal is essential. I see executives sabotage perfectly good presentations because they don’t take the time to rehearse. And especially at the last minute they squander precious rehearsal time by rewriting their presentation or shifting their slides around when they should be focusing on the performance. 2. How Much Should You Rehearse? 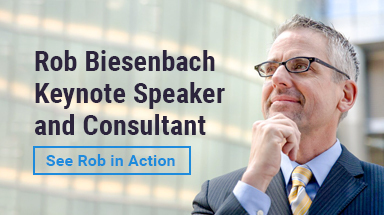 The major objection I get from corporate clients about rehearsal is that they don’t want to come across as “over-rehearsed.” There is no such thing as over-rehearsal. Actors spend hundreds of hours rehearsing a play and when they come out on stage they perform it as if it’s fresh and brand new — night after night. And that’s because the more you work the material, the more you become connected to it. And the more connected you are to your material the more connected your audience will be to you. So that’s my Number One thing, just do it over and over as much as you can. 3. What Final Preparations Are Important Before a Speech? If you’re doing a speech at a big conference, there will be a dress rehearsal the night before or the morning of. Treat that dress rehearsal with respect. Be on time, listen to what you’re being told and make sure you treat everybody well. Much of the rehearsal is for figuring out the best lighting for you, the right sound levels, etc. There are all these people backstage who are working to make you look good. So help them help you. And if you have a chance to rehearse the whole speech, take advantage of that. Don’t phone it in. Perform it, full voiced just as you would with an audience there. 4. What If You Don’t Have Much Time to Prepare? Right before you go on, stop looking at your phone, stop thinking about your email inbox. Relax, take three deep breaths and center yourself. Think about the first minute of your presentation and what you’re going to say and run over that in your mind. That way you can hit the ground running when you come out. If you open strong, they’re on your side from the start. 5. How Do You Stay on Message During Q&A? It’s interesting that when I went from improv to sketch acting, a lot of my friends said, “I don’t want to work with a script — it’s too much of a straitjacket.” And what I learned is it’s actually freeing. Once you have the words down and you can forget them and just let it flow, it’s great. It’s the same thing with a message framework. If you have four key points that are concise, compelling, and consistent, you can go back to them and treat that as your home base. It’s a place to return to. And if the framework has been designed well, it won’t feel like a stretch — it’ll feel like coming home. Every subject you talk about, suddenly you can find a link back to your core messages. Want to Know More About Public Speaking? As always, more information can be found in my book, 11 Deadly Presentation Sins, which you can purchase in multiple places, including here.